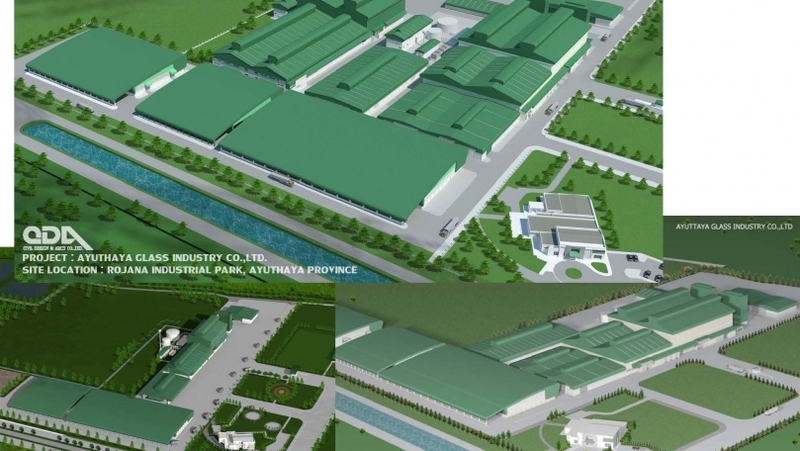 Project : Ayuthaya Glass Industrial Co.,Ltd. We Designed Plant layout and Furnace factory F1, F2, F3 & F4 included utilities building. The productivity of 4 funaces glass capacity around 1500 tons.